Every local from Rotterdam knows De Rotterdammertjes, because those are the only real Rotterdam sweets. They are even called ‘de bouwstenen van Rotterdam’ or the Building Blocks of Rotterdam. 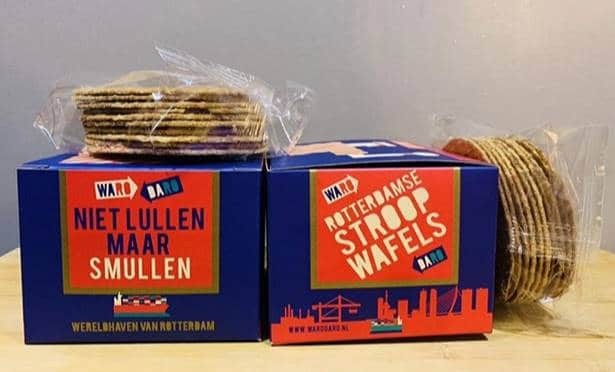 But did you also know that the taste of these Rotterdam treats has been adjusted based on the opinion of the Rotterdammer? Cinnamon, orange and fresh mint flavor. The size has also been halved, making it a smaller candy that is much nicer and easier to enjoy. You can buy the Rotterdammertjes in iconic places such as the Euromast, Hotel New York, Rotterdam Tourist Information and the Markthal. 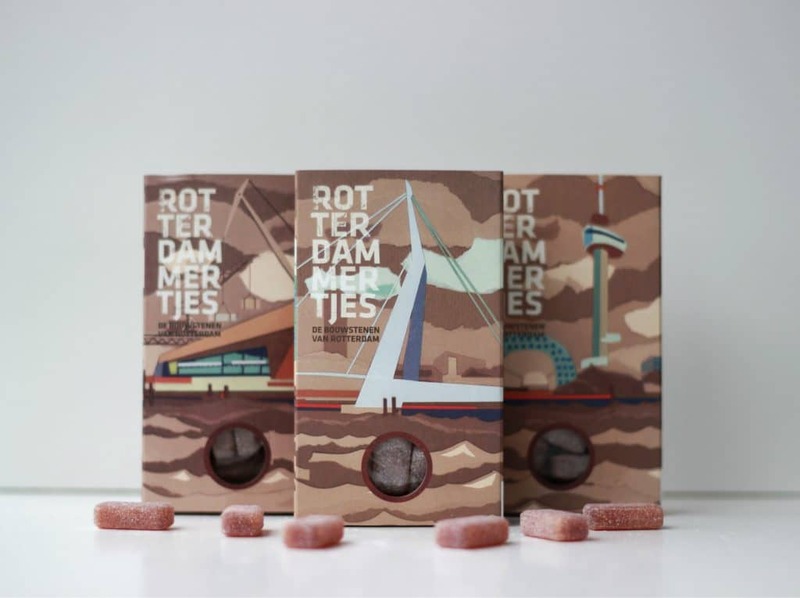 Or buy a box of the Rotterdammertjes on their website. A new chocolate bar has been brought to the market. PUUR is the only real chocolate bar from Rotterdam and developed by the DakAkker (a city farm) on the roof of the Schieblock. With a mix of milk and dark chocolate and caramelized honey from Rotterdam bees, fudge, almond pieces and sea salt, it is certainly a real treat! The product also comes in a super cool packaging that shows Rotterdam icons: the Erasmus Bridge, De Rotterdam and the Euromast. Fact: the Rotterdam honeybee is dying out due to a lack of flowers in the city. 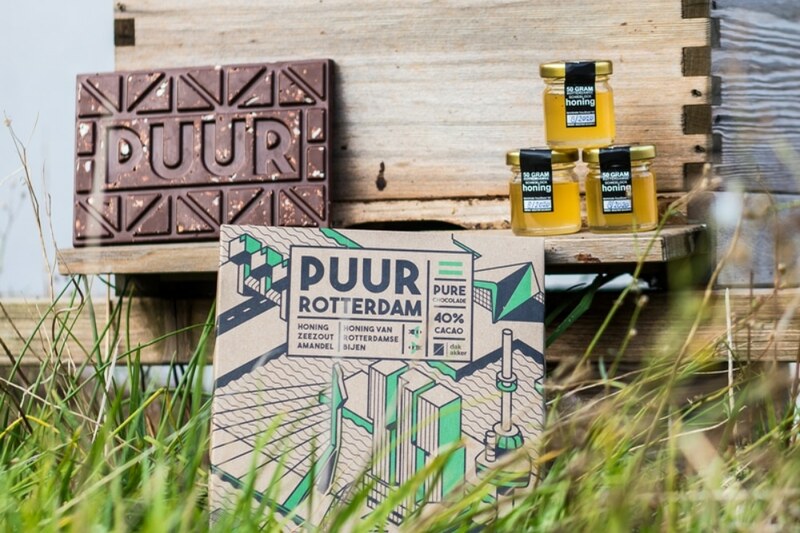 Because they play a crucial role in the ecosystem and are important for our food supply, PUUR buys and distributes native flower seeds with the proceeds so that the bee in Rotterdam can hopefully survive. Do you know a person from Rotterdam who you can wake up for a delicious piece of chocolate? Then PUUR Rotterdam is the delicacy to give (or to buy for yourself!). And, you also support a good cause with it! Buy the PUUR chocolate bars at Donner, Foodelicious, Het Rotterdams Warenhuis, Op Het Dak or online at puur-chocolade.nl. Of course we also have our own cheese in Rotjeknor: De Rotterdamsche Oude. This cheese originated in De Kuip when a couple of enterprising locals from Rotterdam came together and realised that our city needs its own cheese! De Rotterdamsche Oude has a pronounced taste and delicious aromas which is mainly due to time. The cheese is matured for at least 50 weeks on extra thick wooden planks. The Rotterdamsche Oude also makes a very thoughtful gift. 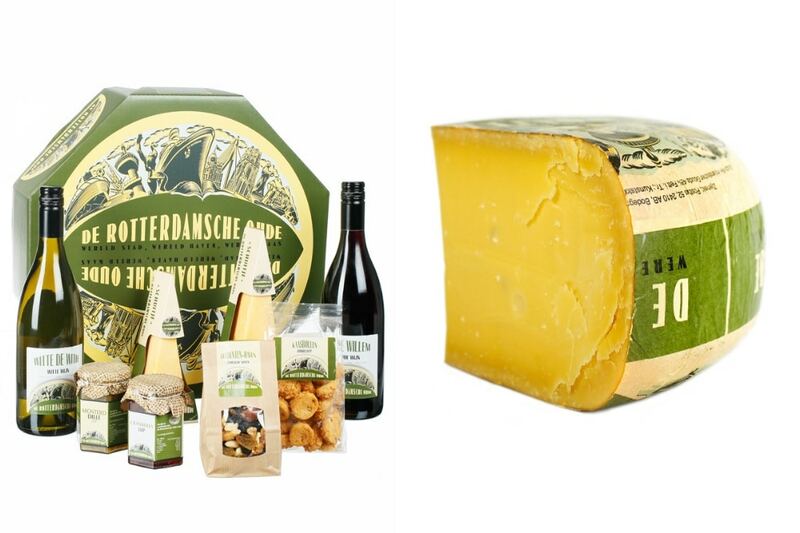 That is why the cheese comes in all sort of Rotterdam packages in which the cheese is combined with other tasty and special Rotterdam products. Buy De Rotterdamsche Oude now in the Markthal (unit 54) at Brandstore De Rotterdamsche Oude or buy it via their website. Maastroompje originate from 1934 and were created by the Rotterdam pastry chef G. Slob. He even won the prize for the best cookie from Rotterdam! Because of the war, however, the cookie fell into oblivion, but in 2013 the granddaughter of pastry chef Slob put the cookie back on the market with its original recipe. 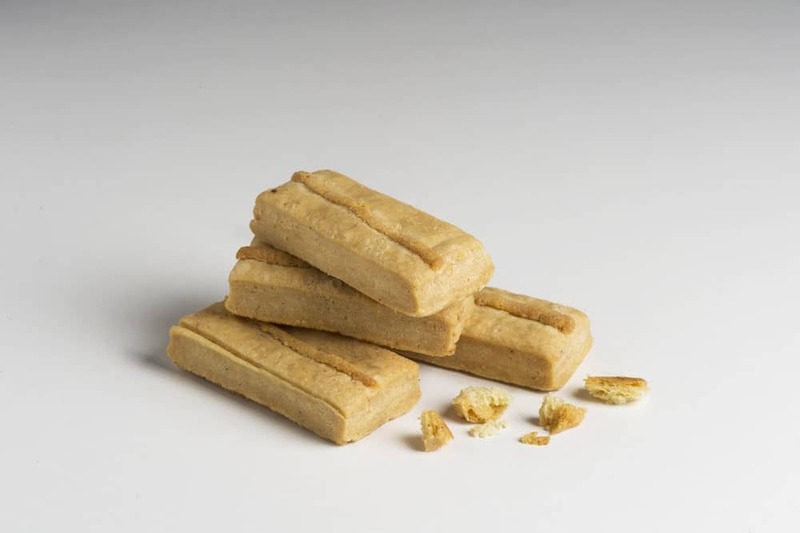 Have you ever tasted these tasty Rotterdam cookies? Buy the Maasstroompjes now via their website. A real product from our city must of course reflect the people who live there. With influences from the port, this stroopwafel symbolizes what the Rotterdammer can do best: roll up your sleeves and just do it. Which is why the name of this waffle is ‘Stroop-je-mouwen-op-wafel’, meaning Roll-up-your-sleeves-waffle. These waffles are not only bought in a cool package, they are also made by a real pastry chef and they owe their delicious taste to natural products that are used in it. 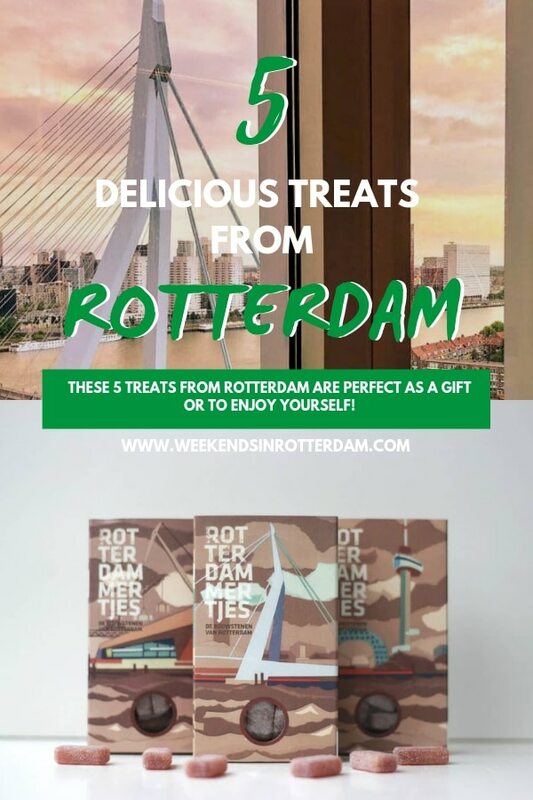 This ideal gift for a true Rotterdammer is available at Foodelicious, Rotterdam Tourist Information, Donner, Platform 104, Brandstore De Rotterdamsche Oude (in the Markthal, unit 54) or via their website. Those were the 5 delicious, real Rotterdam delicacies. Nice as a gift to a real Rotterdammer or to enjoy yourself. Have you tasted them yet? This article is written in collaboration with De Rotterdammertjes and Rotterdamsch Oude. This does not change our opinion and we stand behind this article 100%.